It’s the third week of February and right about this time, folks start giving up on their goals that they set for the New Year. The newness of the year has worn off, the cold chill of February has set in, there are no holidays in sight and spring seems so far away. I get it – but that does not have to be you! You can succeed with your New Year’s Goals with just a bit of determination and a renewal of focus. 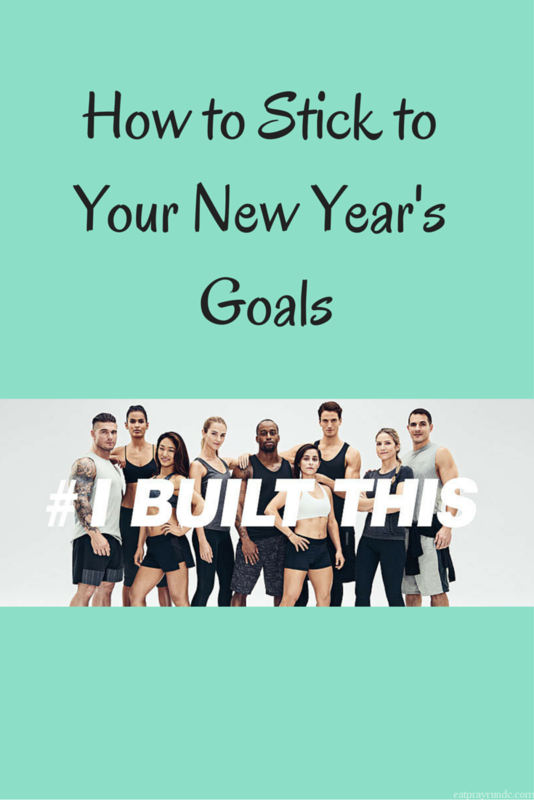 There are a few ways that you can stick with your New Year’s Goals that I recommend (meaning, that I’ve tried and they work). Get some support. Share your goals with someone. Help keep yourself accountable. Tell a friend, put it on social media and while you’re at it check out this post on goal setting. Set a smaller goal to help you reach your larger goals. Is one of your goals this year to run a marathon? Start out with a 5k and build from there. Small steps can help you reach larger goals and it’s always so much easier to really hone in on smaller goals as a part of a larger one. Mix it up. I recently had the opportunity to take a pilates class at Washington Sports Clubs® here in DC. I had not visited a gym in quite awhile and it was such fun! I visited the Gallery Place / Chinatown location of Washington Sports Clubs® and loved that it was literally in the center of the action. Right next to a metro stop, it’s so easy to get to. I headed on in a few minutes early and got familiar with the space. I dropped my bags in the spacious locker room (no pictures of that because it’s weird to take pictures in a locker room!) and then headed into the darkened studio and got set up for Pilates. It had been awhile since I’d taken a Pilates class and I was very much looking forward to it. I absolutely loved it! It was great because our instructor, Amanda, gave us lots of options for taking a particular pose deeper or for modifying it if needed. This meant the class was appropriate for all levels which as someone who doesn’t do Pilates nearly as much as she should, I appreciated. I also liked that the room was dark and cool, which allowed me to really focus on each move we did throughout class. The club was bright and clean and since it had been so long since I’d been in a gym, I was just taking in all the machines and all the people getting it in. It was the kind of environment that made you want to put in work. #IBuiltThis indeed! 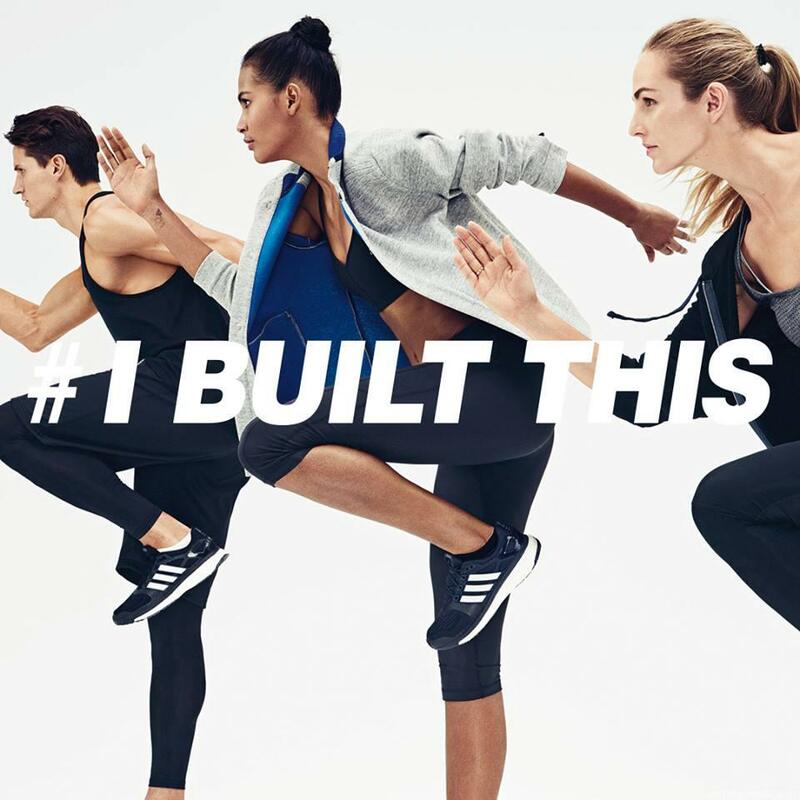 I was so inspired while I was in the gym to see posters with the phrase #IBuiltThis everywhere. It reminded me that it was up to me to create the body that I want and to put in the time and the work to get there. With over 150 clubs, there is probably a local version of Washington Sports Clubs near you. You can get hooked up with a free class (Pilates was awesome, but if that’s not your jam there are literally classes that start just about every hour! Spinning, kickboxing, Zumba and MORE) here. Get a free 1 day pass to check out Washington Sports Clubs here and sign up for a free personal training (what?! free personal training?!) session here. I had a blast mixing up my routine and it really motivated me to stick with my New Year’s Goals. Are you struggling with your goals now that we’re in the middle of February? Try one of my tips – get some support, set a smaller goal and mix it up! Have you ever mixed up your routine if you feeling like you were in a rut? Did that help?